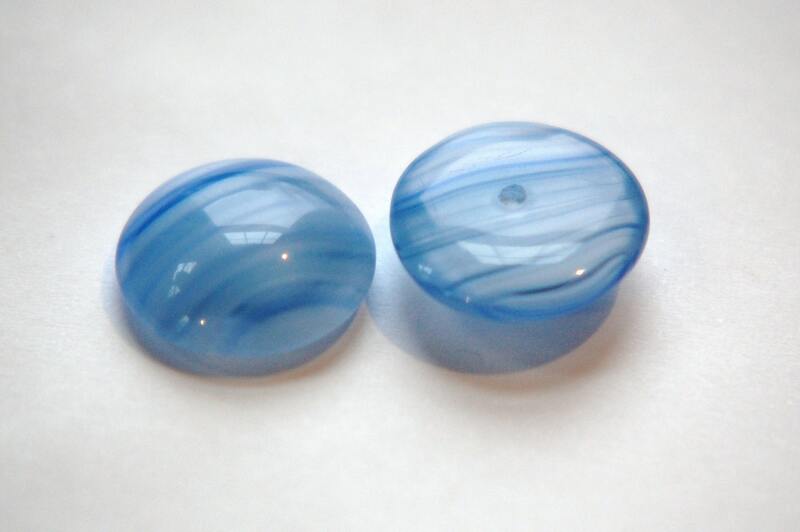 These are vintage clear glass cabochons that have blue streaks of color. 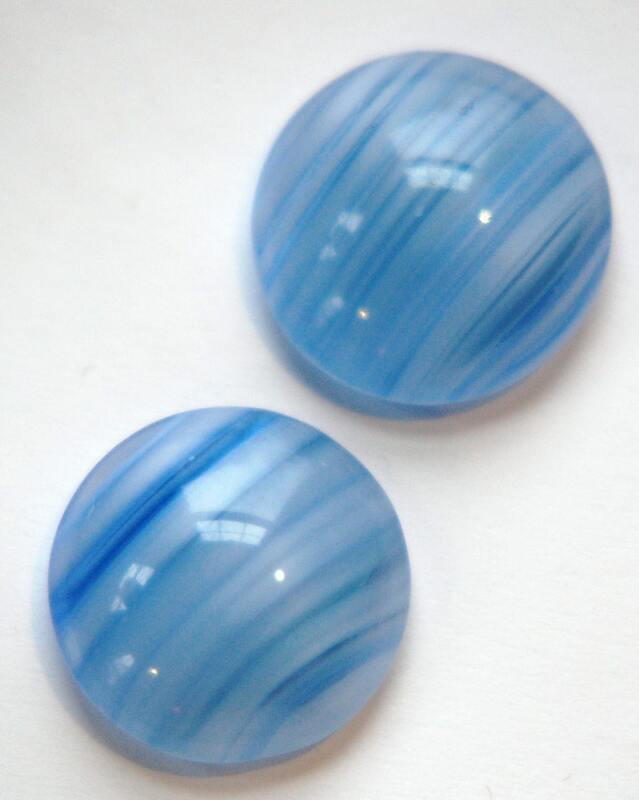 These have a slightly rounded back. They measure 16mm. You will receive 4 pieces. Perfect. Got here super fast and they look amazing.